Would you like to learn how to help yourself and your dog feel better and move more freely–at any age? Whether you’re a baby boomer with an aging dog or a millennial with a young pup, Mary Debono can help you and your dog get the most out of life. Mary’s unique approach, based on the work of Dr. Moshe Feldenkrais, is designed to enhance not only your dog’s health and well-being, but yours as well. Mary Debono is a successful Feldenkrais practitioner who works with both humans and animals. 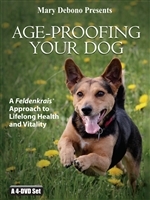 She creatively applies the principles of the Feldenkrais Method to her work with dogs, creating simple and powerful process that can improve your dogs’ health and behavior. Mary is the author of the Amazon #1 best seller, Grow Young with Your Dog, which won the 2015 San Diego Book Award for Best Health book and a silver medal in the Living Now national book awards. 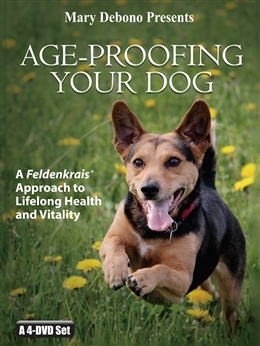 In her video program, Age-Proofing Your Dog: A Feldenkrais Approach to Lifelong Health and Vitality, Mary teaches material that complements, not duplicates, her book. 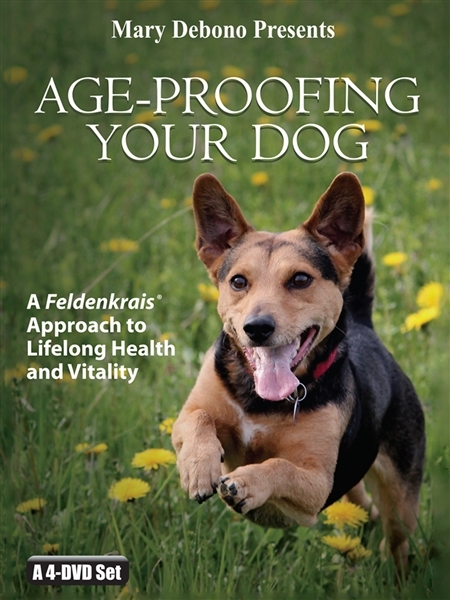 In addition to improving yourself and your own dogs, the video program is a useful resource for Feldenkrais practitioners who wish to create thriving practices that incorporate dogs and their people. Mary’s book, videos programs, workshops and online sessions make it easy for dog, cat and horse lovers all over the world to benefit from her holistic approach. Mary’s website is https://www.DebonoMoves.com.